The Zika virus is the current suspect behind Brazil’s 4,700 reported cases of microcephaly—a birth defect where an infant’s head and brain are undersized. However, as a report submitted to the World Health Organization notes, there are a number of mysteries remaining that need to be explained before Zika can be definitively called the culprit. Brazil’s rates of microcephaly definitely appear higher than normal. Although only 404 of the reported cases have been confirmed as microcephaly since the start of 2015, this number is still much higher than the normal 150 cases the country sees annually. However, recent findings have noted that the microcephaly rate increase began as early as 2012. 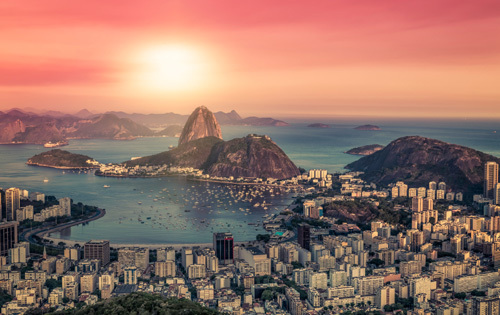 Since the Zika virus has only been confirmed in Brazil from 2014 onward, it raises the possibility that the microcephaly spike began before the virus appeared in the country. The study notes that although the greatest rise in severe microcephaly cases coincides with Zika’s arrival in the country, there has been an increasing rate of mild and moderate cases since at least 2012. The report points to how milder cases of microcephaly are easy to miss and that this suggests researchers may be lacking an accurate view of Brazil’s true microcephaly rate. Another issue is that the Zika virus has been present in African and Indonesian regions for at least 50 years, yet there has been no reported increase in microcephaly among these nations. Even nearby Latin American countries, such as Columbia, have experienced Zika outbreaks without the associated microcephaly incidences. There is also the fact that Brazil’s microcephaly cases seem to be most concentrated in the northeast area, a trend which remains currently unexplained. While Zika has been confirmed in instances of pregnant women who gave birth to children with microcephaly as well as in the amniotic fluid of stillborn fetuses with the defect, these facts are only suspicious and not conclusive. It could be possible, as the report notes, that Zika infection causes microcephaly only by boosting the effects of another disease such as one of the other viruses carried by the Aedes aegypti mosquito. Other possibilities include pesticide exposure or vaccines or drugs used in early pregnancy. Since most of Brazil’s reported cases of microcephaly have been among low-income families, malnutrition remains another candidate—especially since nutritional deficiencies have previously been linked to microcephaly. The report concludes that it is important to get more data on past microcephaly trends as well as information on current and future cases. Efforts are currently underway to find out if the microcephaly rate increase was present as early as 2010. Araújo, J., “Microcephaly in Northeastern Brazil: A Review of 16 208 Births between 2012 and 2015,” Bulletin of the World Health Organization Bull. World Health Organ., January 29, 2016.; http://www.who.int/bulletin/online_first/16-170639.pdf?ua=1, last accessed February 11, 2016.